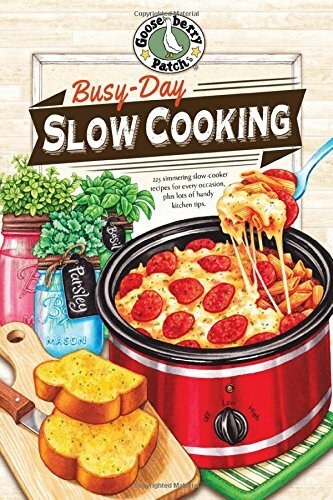 Vickie Hutchins and Jo Ann Martin’s Busy Day Slow Cooking is a lay-flat-when-opened book packed with great recipes, homey notes and hints. Readers are offered opportunity to have one of their own favorite recipes featured in the next cookbook offered by the duo. 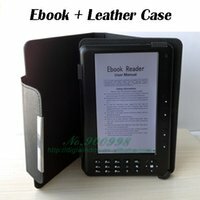 The first page is one to be used for writing a trusted recipe, prize offered is a free copy of the cookbook in which the recipe is placed. Beginning on page 5 are the Warm & Cozy Breakfasts. I found the Cheddar Cheese Strata to be a tasty Breakfast, or even fall suppertime meal. Other Breakfast offerings include more Stratas, Family Favorite Potatoes, Quiche, Grits, Burritos, Casseroles and more. Apple Coffee Cake will be my next recipe to try. The section beginning on page 25 offers recipes for Hot Sandwiches to share. BBQ Roast, Sloppy Joes, Chicken, Pulled Pork, Hot Ham, Open Faced and Meat to spoon over Buns, Hoagies and Tacos, are all included. Grandma’s Sloppy Joes were a hit at my house. Simmering Soups begins on page 60 and includes Chowders, Chilis, Stews, Bean Soups, Vegetable Soups, Lentils and Peas, one recipe on a page at a time over 60+ pages. Mom’s So Simple Chili is one I have marked to make for our first fall football on the TV and soup in the Crock Pot. Easy Weeknight Meals commences with Courtney’s Chicken & Noodles, offers several more chicken recipes then moves to Ham & Potatoes and Cabbage & Chops, Casseroles, Enchiladas, Pasta, Beans, and more, comprise these 43 recipes. Sloppy Burritos are becoming a family favourite. Page 139 begins one of my favorite meal fixing times, family and Scout potlucks and Church Suppers always bring together wonderful food and likeminded people. Party Food, Snacks and Sweets includes such things as BBQ Meatballs, Chicken Wings, Dips, Appetizers, Wassail, cider, Fondue, Spice Coated Pecans, Chocolate Nut Cups, Pudding, Salad Dessert, Cobbler and Cake, Thanksgiving Cake, and Christmasy Cran Apple Cobbler provide lots of yummy treats. I am anxious to try Pumpkin Bread Pudding when next Thanksgiving is nigh. I found the format used for this edition to be very easy to use, my cookbook lays flat when open allowing me to see the recipe easily. Most recipes are offered on their own 1 page spread with a handy hint, interesting quote or shopping suggestions at the bottom of the page. The wipe off cover is sturdy, section cover page is a full page graphic which appears as a pen and ink, hand drawn illustration. Font size used for printing the recipes is large enough that my older eyes can see without need to fumble for reading glasses as I work. Recipes presented in this work are the type women have kept and shared for as long as we have cooked and shared ideas with friends and family. Similar to the cookbooks many of us have had a part in as a fundraising effort for school, church, scouts, band and the like; these recipes are the ones that women know they can put together quickly using items from their pantry, to produce a meal children, husbands and other family WILL eat. They collaborative cookbooks have always been my favorite type to purchase, use, gift to others and collect. I especially enjoy reading who has submitted a particular recipe and learn where he or she may live. Personal notes regarding how the dish is served, family enjoys the dish, suggestions for selling as concession offering and the like; make the recipe all the more interesting. All in all I find Busy Day Slow Cooking to be an excellent, usable cookbook certain to please new brides, longtime cooks needing a new recipe or two, and those who prefer lots of home cooking rather than relying on fast food. A must have for the personal cooking book shelf, tucking into a wedding shower gift basket, and anyone who uses a crock pot frequently for home food preparation.